All over the world, open innovation is emerging and requires much more interactions between different actors with different organizational cultures: large firms and SMEs (i.e. industry), universities and research institutions (i.e. academia), as well as national and regional authorities for building the legal or incentive framework of innovation (i.e government). Certainly, flows of knowledge between these three spheres, which are also known as the triple helix, have always existed; but what appears to be new in an open innovation environment is the overlapping of their missions. In many areas such multi-actor interactions with overlapping roles did not emerge spontaneously, as was the case with the United States. 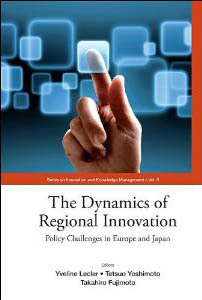 Based on robust cases studied by researchers and practical experiences of personnel involved in innovation at public or private institutions, this book successively discusses the policy framework in Europe and Japan, the new role for universities due to intellectual property reform or technology transfer promotion, the new challenges for firms in terms of licensing, patents, corporate venturing, including entrepreneurship, incubation, venture capital or cross-industry knowledge sharing. All issues addressed in this book are clearly those toward regional innovation policies and practices that are open in nature. It contains descriptions and analysis of the various approaches taken by industrial, governmental, and academic players in various regions of Japan (Tohoku, Tokyo) and Europe (France, Belgium). The mix of theoretical and empirical material collected in this book was first presented at an international symposium in Tokyo. The dynamics of regional innovation is an on-going issue, and we are still standing at the threshold of this field of research. It is exactly why such a book is needed now.